There are over 1,200 screen sizes across desktop, mobile, and tablet devices. A responsive site provides the optimal viewing and interactive experience by resizing and repositioning your site content based on screen size. So, your site has one url and one look across every device. Users will easily be able to view your inventory, fill out all of your desktop forms, and view all of your content pages at the perfect size. See some of our client websites below. Provide the best possible experience for your users. Mobile and tablet devices are utilized much more frequently than desktop computers for searches, so your site needs to give car buyers the info they want, regardless of what device they’re using. Setup/buildout duration determined by scope. Inventory and Details Pages Designed to Convert. Visitors to your site are there for a reason. They are looking for a car to buy. 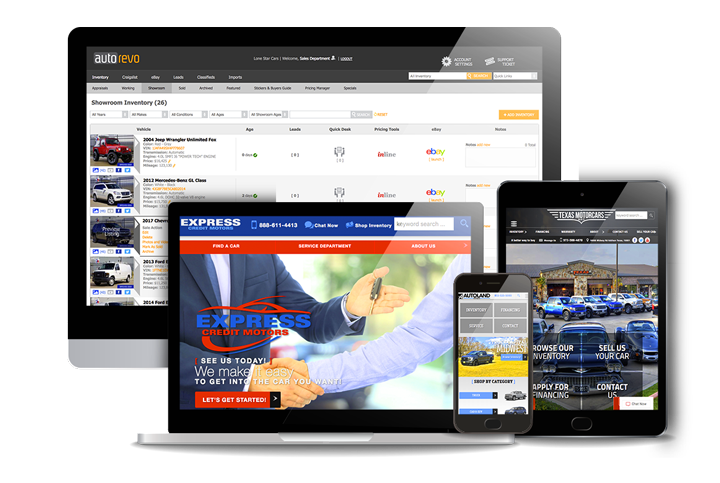 Our inventory list pages and vehicle detail pages are designed to display relevant information quickly and provide ample lead opportunities.